Cambodia isn’t a stranger to issues of dog and cat slaughtering and the eating of their meat. Considered a tradition it has become all too common and, unfortunately, doesn’t create too much of a fuss anymore. But just when the case is almost hopeless, we see the light. 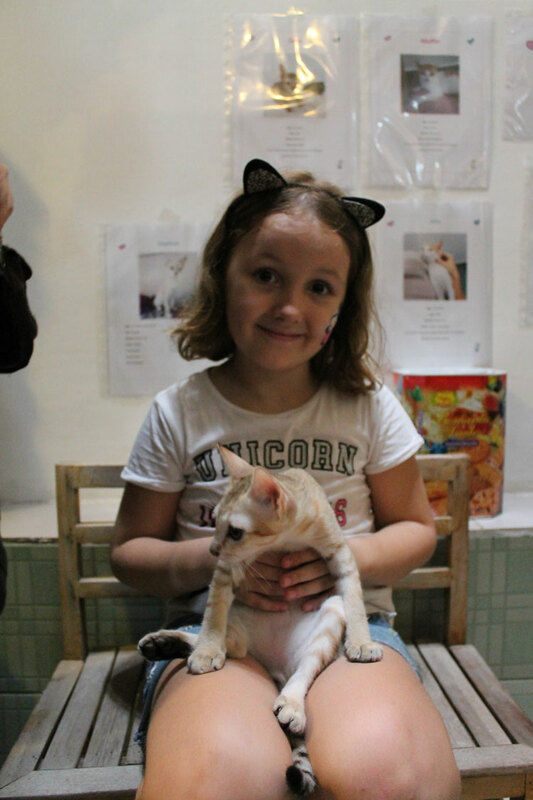 The participation of more than a hundred people – locals and foreigners – in Animal Adoption Day led by rescue center Animal Mama is enough reason to believe that the community is getting more sensitive and affectionate towards our furry friends. Agnes Alpuerto joined the event last week. The weather was a bit bad on Saturday afternoon. It even drizzled at about one o’clock – quite a valid reason to not expect too many people to come at a semi-outdoor event in the narrow passageway of Street 830. But here’s the thing about dogs and cats: you can never ever say no to them, even if you have to brave the rain in your motorbike or bicycle just to see them. And more than a hundred animal lovers – Cambodians and foreigners – did just that. The Adoption, Fundraising and Community Market Day led by Animal Mama saw a jam-packed YK Art House the whole afternoon on Saturday. There was a steady flow of people coming in and touring around the venue, all stopping to pat the dogs outside the main hall or carry the kittens out of their cages. Maya, a seven-year-old girl from Russia, was seemingly oblivious to the crowd as she held three-month-old Heros on her lap. She smiled as the kitten continued to lick her arm. “I like cats because they’re cute even when they’re very small,” she said, her eyes still fixed on the grey furry animal. “I had a cat in Russia named Tosha. She was already nine months old but we didn’t bring her to Cambodia. So, I’m here to see some cats. But I can’t adopt them for now. I really like cats you see,” she said as she points at her headband with cat ears design. Animal Mama, an animal rescue center and community veterinary clinic, brought in four dogs and about a dozen cats for the event – many of them have been spoken for by interested pet parents. “The idea was to hold something that would showcase the animals in our clinic. 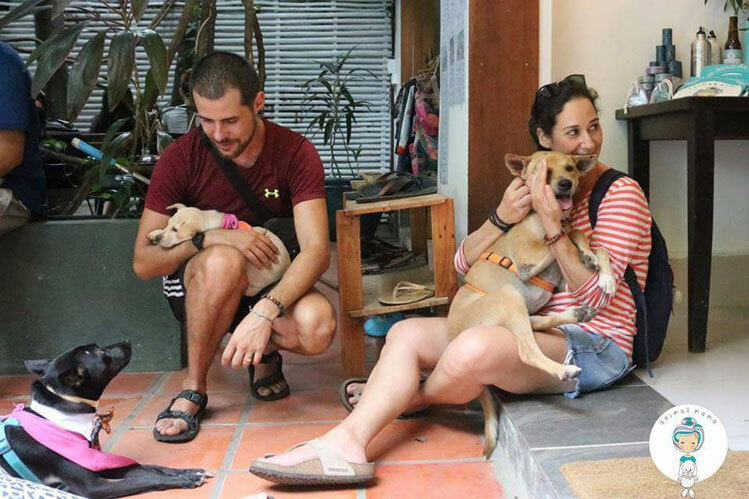 We’ve been getting a lot of questions about adoptions, so now we’re letting people see the animals that we have rescued from streets and pagodas and see if they can find forever homes,” said Yulia Khouri, founder of Animal Mama. Animal welfare advocate Dr. Lucy Haurisa brought her pet dogs along. 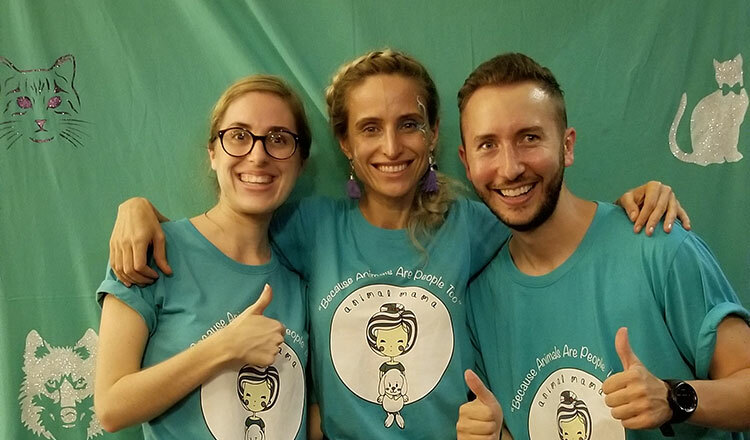 Kem Soksyna and Chom Dymong, owners of the dog meat-turned-vegetarian Sabay Vegilicious restaurant, also participated in the event, sharing their story of transformation to people who approached them. At the cat area where Maya was enjoying the company of Heros, several others cats on spacious cages were also gaining attention from the crowd. 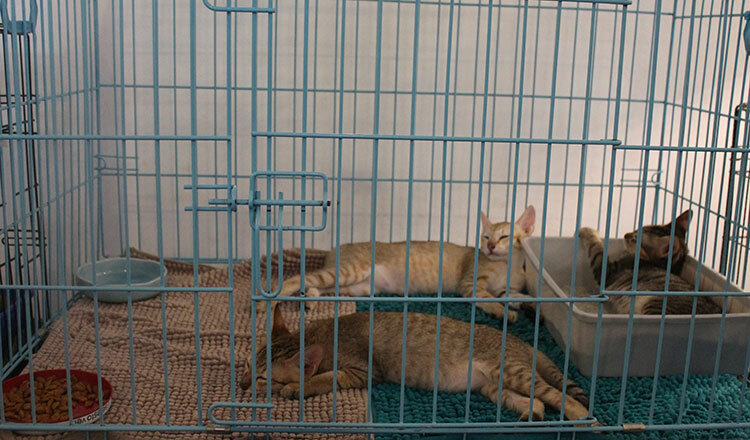 Animal Mama’s resident veterinarian, vet associates, staff and volunteers assisted the guests, actively explaining to every interested individual the conditions of the rescued cats and how these prospective pet parents can help change the lives of the furry animals. Many took interest of Daphne, a four-month-old white Khmer cat whose eyes widen with delight when people check on her inside the white cage. She looked every inch a healthy kitten, except that she has a feline leukemia. Cats like Daphne can live normal lives. But their life expectancy is shorter. “But I am positive to cuddles, love, playing, sleeping in the sofa, enjoying a good food and beauty,” reads the little cat’s “biography” pasted on the wall. The other cats, ranging from three months to one year and a half, also gained their own sets of admirers. “Alfa came to the center when he was just about two months. He couldn’t walk. So, we did regular physiotherapy on him and he eventually walked normally,” explained Dr. Laura, referring to the seven-month-old ginger colored cat that Christina was carrying. Christina, from Indonesia, said she plans to adopt Alfa and Riza, who’s a month younger, and give them a new home. “I really like cats and I would love to bring these two with me. I work the whole day so I don’t want one cat to get lonely. You know, it’s really a nice feeling to see them after a very hard day at work. They will make my home happier,” Christina said. 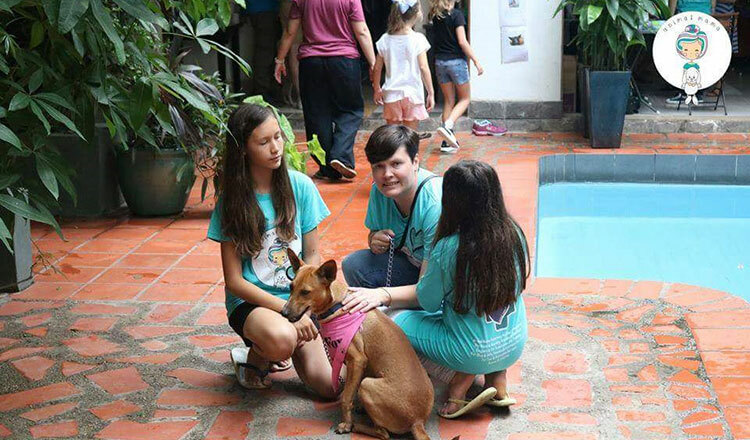 While Christina and many others have shared their enthusiasm to give some of the dogs and cats their forever homes, Yulia explained that Animal Mama couldn’t give the animals just yet. Those who signed up for animal adoption still need to go to the center where the entire adoption process and animal welfare will be discussed thoroughly. “But we love them so much. Those who love our rescues, we love them as well because they are making us feel like we are doing something right for the community. It really makes me emotional to see people loving our rescues and taking them home to become part of their own families,” she added. Aside from the charming furry creatures that effortlessly owned the spotlight at YK Art House, the venue was also filled with other social enterprises carefully chosen by Animal Mama to also showcase their products to the public. Cambodia Knits, Kong, Khmer Creations, Good Krama, Flourish Cambodia and Tangy Turtle were just some of the 19 merchants who put up small booths. Each of the social enterprises, according to Yulia, would be donating 10 percent of their day’s sales to Animal Mama. There was also a face painting session, which was a total hit to the little kids at the event, led by professional make-up artist Dori Molnar. Kimberley Henderson and Jesus Lozano, volunteers of Animal Mama, also shared how the community – both the locals and foreigners in the Kingdom – have grown more affectionate and sensitive to animals. “It’s just wonderful to see everyone showing these animals the love they deserve. Animal Mama is open for everyone who wants to learn about animal welfare and care, and we also get to learn so many things from people outside the center. It’s really about building a community that’s beneficial for both humans and animals,” the duo shared. The Adoption Day was a conscious effort of the people behind Animal Mama to raise awareness and foster understanding within the community about the roles of animals and the best ways to take care of them “because animals are people too”. 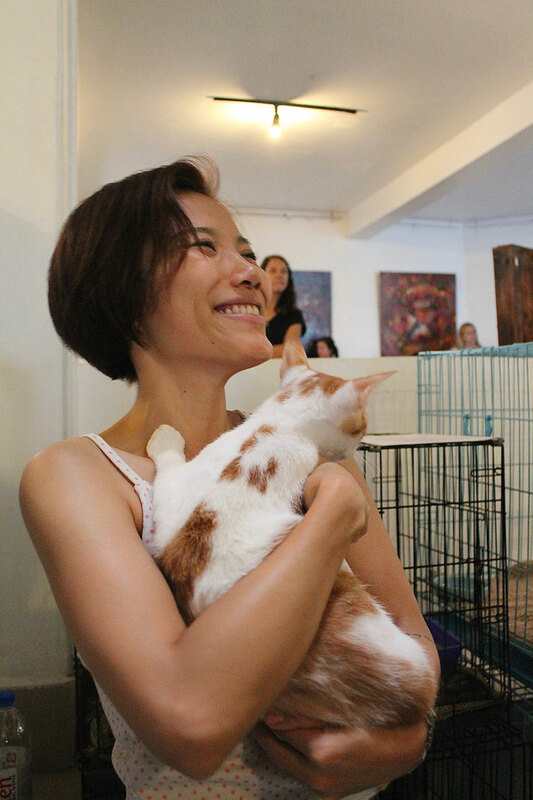 The event was made possible by the center’s staff and the volunteers from various backgrounds – EU Commission employees, Digi Telecom, Khmer Rouge Tribunal lawyers and other people who wanted to push for the same passion project as Animal Mama’s. With the success of last weekend’s affair, it’s safe to say that the support system not just of the animal rescue center but of all the animals in entirety is tremendously strong. Yulia and her two-year-old organisation are proud to be the backbone of such support system. But more than thinking that this path, this advocacy she has been strongly leading since 2016 is a conscious choice she has made for herself, Yulia believes it’s the other way around. I am curious whether you rescue cows, pigs, sheep, goats, crocodiles, chickens, ducks, and mice or only dogs and cats?